Doug was bitten with the broadcasting bug as a kid listening to Knick and Ranger games on the radio. That led to him and his friend Pete announcing the play-by-play while playing Bobby Hull table hockey in the basement and street hockey in the driveway. Doug got behind his first radio mike at WBAU 90.3FM, Adelphi University’s radio station doing top of the hour newscasts. In his first week on the air, President Reagan was shot and Doug spent the next four hours anchoring the events of that historic day. At WBAU Doug did play-by-play of Adelphi Panther Basketball, Baseball, Soccer and Lacrosse, interview programs and brought the Big Band Sound to Long Island on his weekly show. After graduation, Doug continued working in radio at WHLI, WKJY and WGBB doing sports, news and providing reports for both of New York City’s all-news outlets, WINS and WCBS. Moving to the Tampa Bay area, he hosted a weekly Jazz program at WUSF-FM as well as a national sports-talk show on the Sun Broadcasting Network. Doug also worked at St. Petersburg’s WLFF as a copy writer, newscaster as well as hosting a Big Band show. When WFNS became Tampa Bay’s first all-sports station out of Plant City, Doug moved there as anchor, reporter and talk-show host. Doug hosted an oldies program on WAMR and a Hot Country show on WCTQ in Sarasota. He also worked at WUSF’s Radio Reading Service, a special frequency for blind and incapacitated listeners reading the daily newspapers over the air. Doug served as Station Manager at WSRQ in Sarasota, FL. He created the “Suncoast Magazine” where he interviewed over 7000 celebrities, authors, politicians, athletes and newsmakers. He also created “The Big Band Files” featuring the best in American Popular music and interviews with the artists and singers which has also aired on WSLR 96.5FM in Sarasota and WTMY 1280 AM. Doug has created and hosted “NFL Magazine” and “Sports Forum” and has done play-by-play for local high school football, pro-football and boxing matches. He has covered the Tampa Bay Lightning and Tampa Bay Rays and is a fixture at all the Bay area sporting events. Doug has been the media coordinator for the Sarasota Millionaires Football Team, one of the most successful minor league football teams in the country calling the team’s games since day one. He has also called games for the SW Florida Gladiators including the Florida Football Alliance Championship Game in 2015 in Daytona Beach, FL. 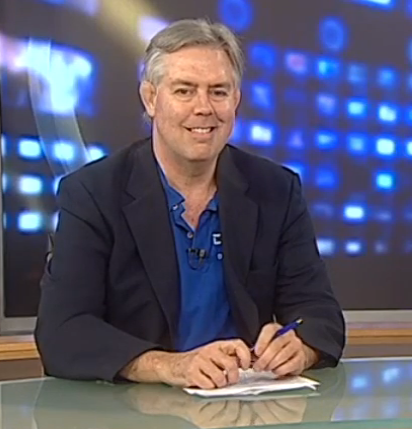 In 2010 Doug began his Tampa Bay Media column for www.examiner.com and currently on dougmilesmedia.com. He has been the play-by-play announcer for high school football calling games for several schools in the Sarasota/Bradenton area as well as covering the FHSAA playoffs and championships at the Citrus Bowl in Orlando. He has produced campaign videos for Senator Bob Smith who ran for the 2010 Florida Senate Seat. Doug has been a panelist on “Talking Sports” and “It’s All About Health” which aired on Comcast Cable Television throughout southwest Florida. He created and hosts “Political Roundtable” featuring interviews with newsmakers and journalists covering the political arena. He hosted “Florida Watch” on METV in Manatee County. Doug hosts a sports show with legendary Philadelphia sports announcer Don Henderson. He produces and hosts “Talk Across America” featuring interviews with authors, celebrities, sports figures, political guests, business experts and more. Doug hosts “The Big Band Files” and “Artist Spotlight” shows on WTMY radio in Sarasota/Bradenton/St. Pete. Doug also serves as Master of Ceremonies at various events such as the Sarasota Jazz Festival. In addition to radio, Doug has worked in the Information Technology field as a technical writer and website developer as well as owning a video production business. When not on the air, Doug enjoys tennis, golf and digital photography.